NJ's WIPs from Idaho (Current: ???) Doing updates. Open to ideas. » Projects » NJ's WIPs from Idaho (Current: ???) Doing updates. Open to ideas. After looking at various sprite sets, who should be next? Well, after being off the grid here for a while, I'm back and updating this old WIP thread. I have started work fixing up two more Sailors since I'm already at it. 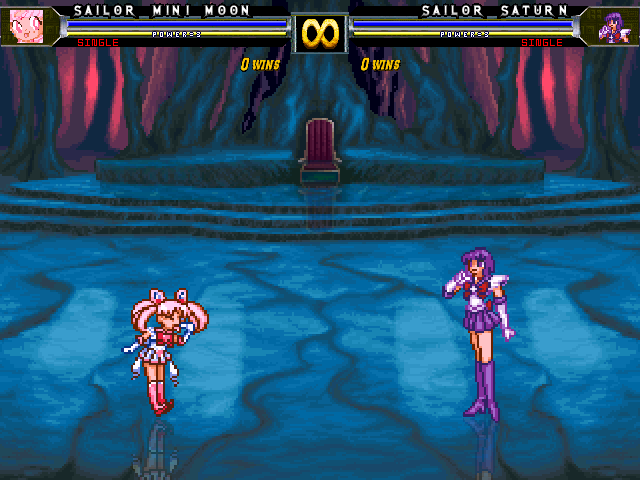 Anyway, I have opted to work on Sailors Mini/Chibi Moon and Saturn. 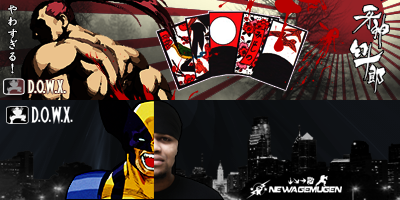 Any help will be appreciated, especially since I seem to have lost contact with my MVC portrait maker (MVC1 style with official anime art), as well as my beta testers. "Didn't anyone ever tell you to be careful what you wish for?" "Think of me as your worst nightmare, in pink!" "Don't think I'm weak just because I'm a kid." 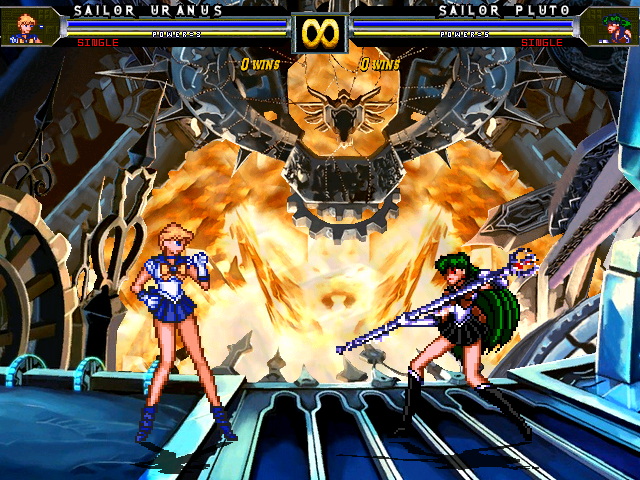 Now that Mini/Chibi Moon is out of the way for now, my focus is being shifted to finishing the beta version of Saturn. Final touches to Mini/Chibi Moon will be made once I receive my hyper portraits from MaxBeta over at MFG. Assistance for Saturn is still open in terms of palettes, if anyone is interested. Good to know Max will be doing a hyper for you, he's really good. Good luck on your projects, i'll look forward to the finished results. As far as palettes go, I'm sure if there's something provided for people would do some. I'll try and do a couple custom ones. I greatly appreciate that. I'll get Saturn's SFF or a single sprite from her up as soon as I can. NAPOLEON IS AT NEWAGE! WOOW IVE BEEN GONE! Thanks man. I just joined a couple or so weeks ago, figured it'd be good to find other places to announce my releases. Anyway, I have a Mediafire link for Saturn's SFF file. WARNING: Due to her previous author's assembly of the SFF, her color separation (Along with that of my other Sailors) is terribad, so palette making will be made more difficult. Best of luck to all who wish to participate. you could export all the sprites and make a new pallete based off her normal sprite,leaving you with a lot of unlinked colors,and more room for color separation,and better organizing of colors. Problem with that is I don't have a way to batch process them so all the sprites have the same palette as the one I would edit for separation, unless Gimp or Irfanview can do this. Hmmm just add a sprite with the new pallete,have the new pallete on of course,and then add your sprite on a shared pallete so it grabs/attaches to those colors,only downside is colors that are too alike might go to the wrong place. I'll try and make a few palettes. I tried a couple of times on the link you provided, but because some colors are linked it's a bit difficult to make them not look very poorly done. Also, I don't know much about characters so I don't know if there's a necessary reason not to, but your sprites are uncropped, should you crop them? For characters the sprites should be cropped after its complete,alignment and such,but i havent seen it myself so idk if its what im thinking in terms of being uncropped. GLB wrote: I'll try and make a few palettes. I tried a couple of times on the link you provided, but because some colors are linked it's a bit difficult to make them not look very poorly done. Also, I don't know much about characters so I don't know if there's a necessary reason not to, but your sprites are uncropped, should you crop them? Blame the previous author of the SFF I provided, he kinda messed things up with the palettes, and never thought to do any form of color separation. This problem also exists in my other Sailor releases. Sadly, between my lack of Photoshop and not knowing anyone who would want to help with color separation, I can't amend the issue of bad color separation on any of my Sailors. Some updates on the Saturn front. A good chunk of her CLSNs are done. Still need to work on some of the CLSNs for attack animations and guards. Obtained a new small portrait courtesy of Lt. Hades on MFG, and obtained some new palettes courtesy of JDM on MFG. Palette contributions are still open. More progress as it develops. So behind the scenes I've started some heavy duty fixing for my next project, Sailor Neptune. No screenshot as I'm nowhere near my laptop at the time of this post. 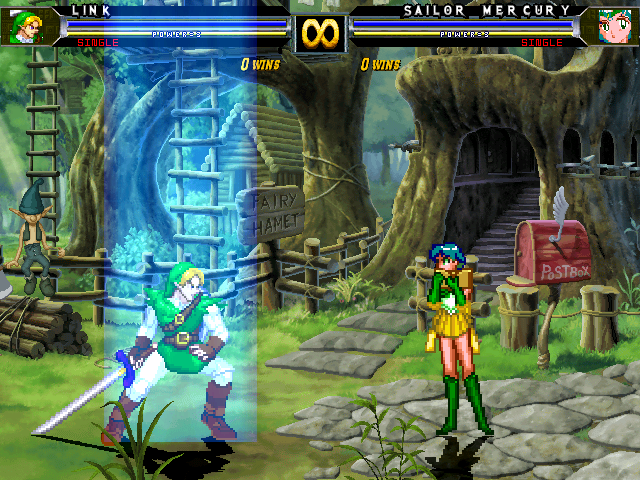 Currently, I have repaired her uppercut attack and did a bit of reworking of the CLSNs. Her palettes need work, but like my other Sailors there will be some poor color separation (Really need to find someone to help with that). Other stuff I'll list later. By POTS himself, so it's probably quite reliable. 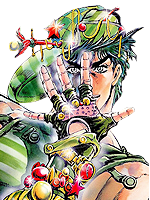 I tried to use that tutorial, but it seems that I can't use PaintShop Pro. I did however manage to get Froz to help with it on current releases and WIPs, but it will take a while before I can get those sprites out. Even though I haven't received any color separation patches yet, an early beta of Neptune is ready and has been sent to one of my old beta testers (He knows who he is). There are still some visuals and sounds that need to be updated on her, but those will be taken care of once I get the general gameplay errors fixed. In addition, a major bug in Saturn has been fixed and an update should be released before a final set of updates is completed. Also, I am reopening the need for a set of new MVC1-esque hyper ports while Max finishes the ones for Mini Moon and Saturn. Same requirements as was needed for Mini Moon's and Saturn's, and will be needed for Neptune, Uranus, and Pluto. With Neptune basically done (Have some SFF fixes and a couple of gameplay bugs to fix), I am announcing that I am working on the last two Sailors. Introducing Uranus and Pluto. I know Pluto's small portrait is miscolored, I hope to have a new portrait at some point from either Goodaldo or Lt. Hades, depending on who's more available. Each are getting some replacements for old sprites for gethits in the current SFF due to bad rips and such. 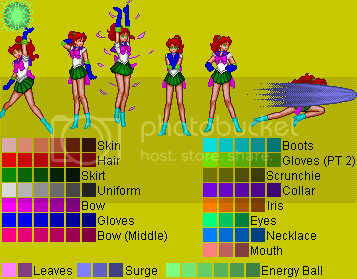 Speaking of rips, I noticed that Mars, Moon, Mercury, Jupiter, and Venus are using bad gethit sprite rips as well (Though I do have better ones on hand for Venus), and sadly I can't fix/replace the ones for Moon, Mars, Mercury or Jupiter since all sites that had the sprite rips went offline, or the download links to them on any active sites were never updated. So I'm gonna need some help getting gethit sprite rips. This is all I have for now. See you guys as soon as I can get these last two done. Awesome, i'll download it as soon as possible! Wow, I'm so dumb. I forgot to upload any updates made to Neptune. Got them up this morning, though no one knows about it just yet. The original plan was to release those updates alongside the release of either Uranus or Pluto. Thanks to Froz and an Imgur user known as atp, I have color separation templates for two of my previously released Sailors. If anyone here would like to contribute palettes, feel free to snag these templates. Working on something non-Sailor related. The Hero of Time, Link from the Legend of Zelda series is in the works. There are some things still being worked on, but hopefully soon I'll be able to make him my first release of the summer period of 2013. Really awesome to see. I hope you're able to find everything you need for him, I'm extremely interested. Sorry to say, sad to report, Link has been placed on hold indefinitely. Between Hookshot coding issues and finals week, I have no clue when I'll be able to finish him for a full release. 26 Re: NJ's WIPs from Idaho (Current: ???) Doing updates. Open to ideas.